Our impression of Kuala Lumpur is that it is mini-America – very modern, every restaurant chain and fast food outlet, huge multi-level shopping malls, traffic, high class hotels, many automobiles with a few nmotorbikes, express train from airport, in-city monorail and subway system (the aroma of ‘Cinnabun’ filled the entrance that we went to), well built road systems… I had expected it to be more like Thailand or Vietnam but it is not like that at all. One tour guide said that Malaysians only have 2 hobbies – shopping and eating! An exaggeration, of course, but seems like there are many shopping malls and restaurants. 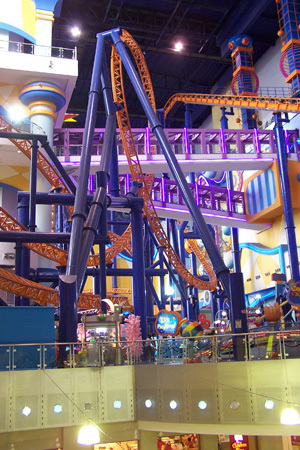 One shopping mall has an entire theme park inside including a roller coaster! We were overwhelmed with the fast food choices. 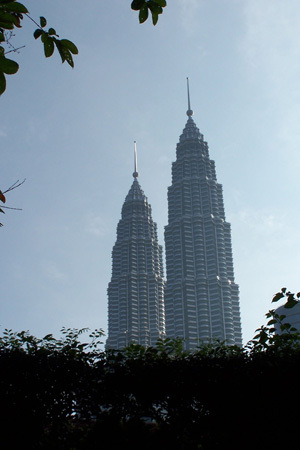 The Petronas Towers are a twin complex and are among the tallest buildings in the world. They really are quite impressive. It always amazes me how men can construct such immense objects. They are also another sign of the financial and economic strength of the country. 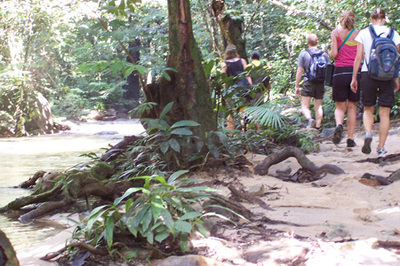 We take a day trip, organized by a local tour company, to see the rain forest. We travel by minivan with 6 other tourists (2 from Jordan and 4 from Sweden) for about an hour outside the city. We arrive at the “Jungle Lodge” and meet our guide who will take us through the rain forest. 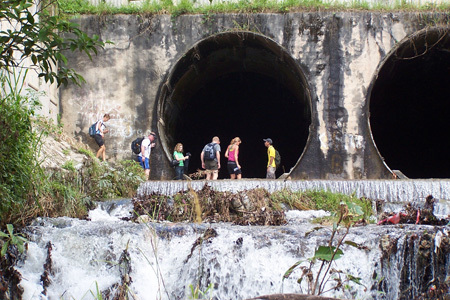 We hike a short way, cross a river and go through a large tunnel. Now we are entering the rain forest – we are taking the ‘wet path’ and walk in the stream as much as along side of the stream. 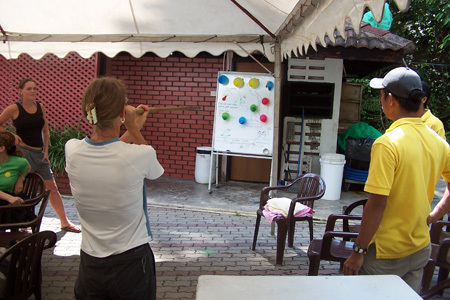 Our guide stops often to show us the different plants – rattan, bamboo, etc. and tell us how they are used. 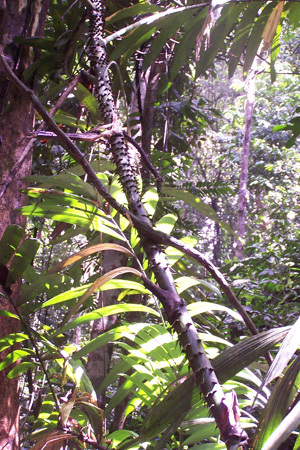 This is the oldest rain forest in the world – even older than the Amazon. It is nicely cool in the forest as not a great deal of light reaches the bottom. We walk for about an hour and a half until we reach a waterfall. We stop for about 15 minutes as some people swim and others wade. 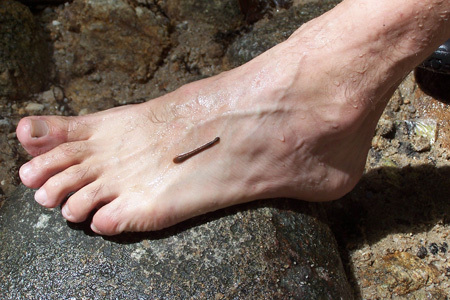 Then comes the discovery that many of the group have been hosting a leech or two on their walk – yuck! These little critters are not in the water but in the trees and brush alongside the stream. The guide carries a packet of salt and when he puts some salt on the leech, it lets go and is able to be pulled off the skin. You don’t want to directly pull them off as they will leave part of themselves attached. 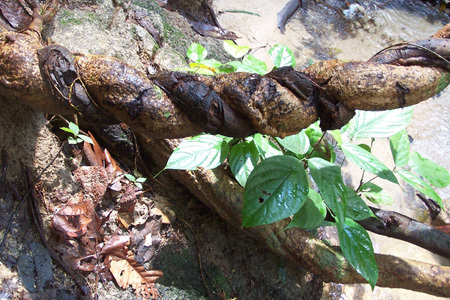 The leech injects a chemical that keeps the blood from clotting, so some people have some running blood – all a normal part of the rainforest experience! We take the ‘dry path’ back – up the hill and high up alongside the stream. The guide tells us that only 3 kilometers from here, if you walk in the forest you would need a machete to get through the brush and ammunition as there are black panthers and Bengal tigers – amazing!! The honeymooning couple from Jordan was not expecting such a ‘back to nature’ hike. The girl was wearing tight fitting jeans, wearing leather shoes and carrying a designer shoulder bag! We couldn’t understand their conversation along the way, but she was definitely into something that she hadn’t expected. She was a good trooper and completed the hike (no real alternative once you are started), came out with one leech and I’m sure a memorable story to tell! Arriving back at the lodge, people with running leech bites are doctored up and then we have a late lunch. We hang out for awhile – there is a ‘Family Day’ picnic here (must be some company) and we watch the different activities – rolling coconuts on the grass to knock down water bottles (quite fun! ), hoop rolling with bicycle rims, and the always popular tug of war. People all over the world enjoy being together and having fun. One interesting tidbit about this country: our guide tells us that everyone in this country is given the opportunity to work – there is virtually no unemployment. If you work, then health care and education are provided – if you don’t work then you don’t get anything. We wonder how countries evolve in such different ways. We were confused about Indonesia and Malaysia – they are geographically right next door to each other but very different in their government, terrorism and challenges. Photo Gallery: click to see a larger image. Ultra modern Kuala Lumpur, Malaysia - including a huge mall with indoor theme park complete with roller coaster. 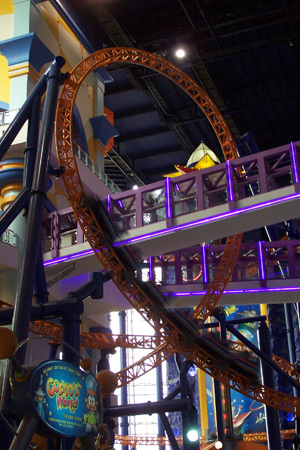 Here it is again - a complete roller coaster inside a shopping mall. 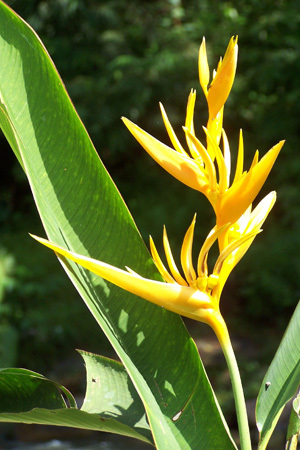 Flower outside of the rain forest - not enough light at the bottom of the rain forest for flowers to grow. After crossing the river we headed through this large tunnel to get into the rain forest. Malyasian rain forest - the oldest in the world. A vine choking a tree in the rain forest. 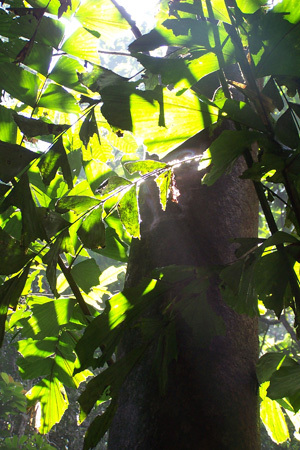 Light filtering down through the leaves in the rain forest. All that rattan furniture that we see comes from this type of tree. 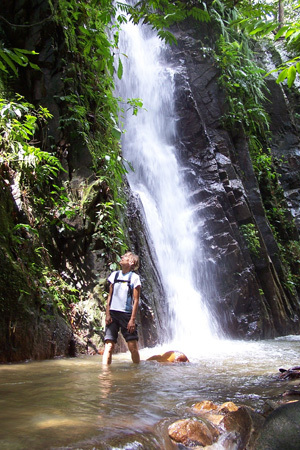 The goal of the rainforest trek is a wade or swim under the waterfall. 3 hours there and back. Almost everyone on the trek found a leech or 2 on their legs and feet - the guide uses salt to get them off. Yuck! We had to cross this river to start and end the trek through the rain forest. The route took us up a smaller part of the river and then back via the upper forest. After the rain forest trek, we get a late lunch and a try at using blow darts - minus the poison tip. 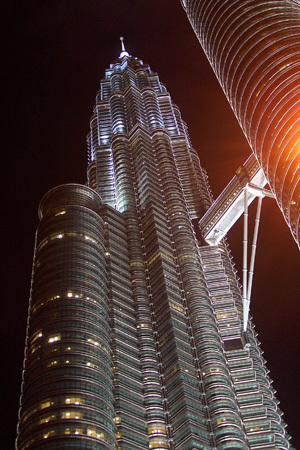 Tallest buildings in the world - the Petronas Towers in Kuala Lumpur, Malaysia. They really are quite impressive - it's a wonder that man can construct the things that he does.